270° Holo Showcase is a holographic 3D display viewable from 3 sides. 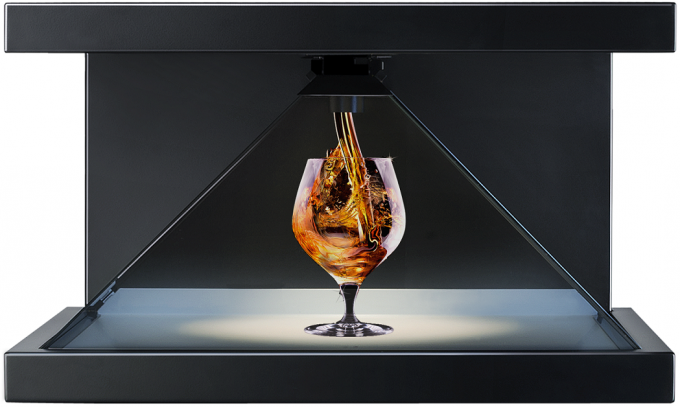 It allows you to combine a physical object with 3D holographic content. 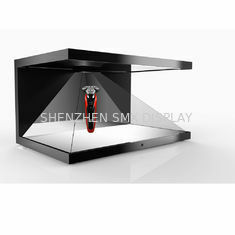 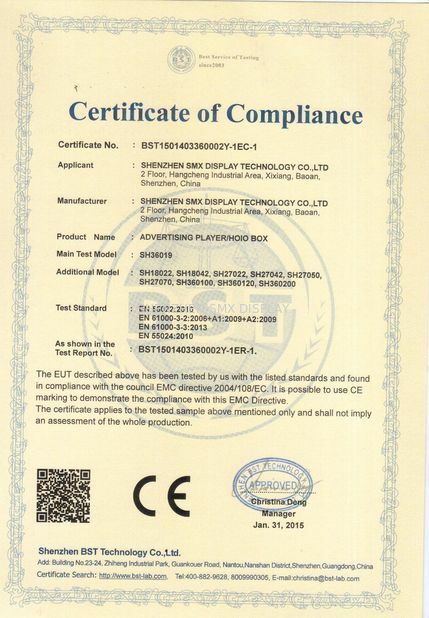 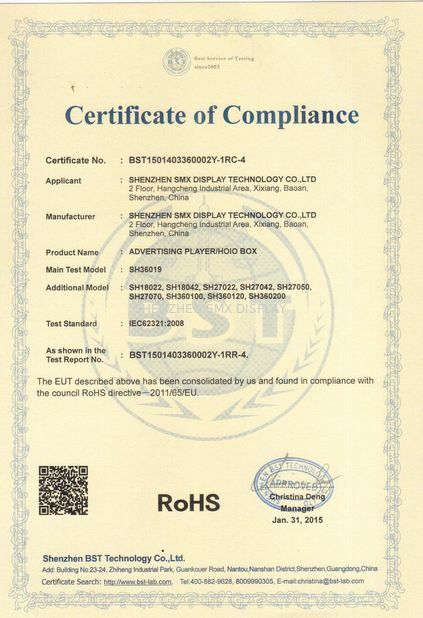 It is originally designed for smaller objects such as jewelry, perfume, watches, toys and mobile phones, but FMCG products could also be displayed. 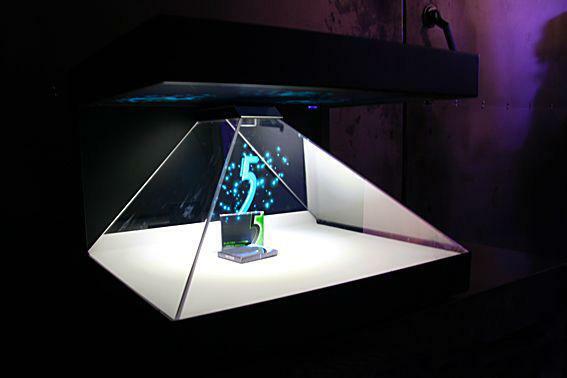 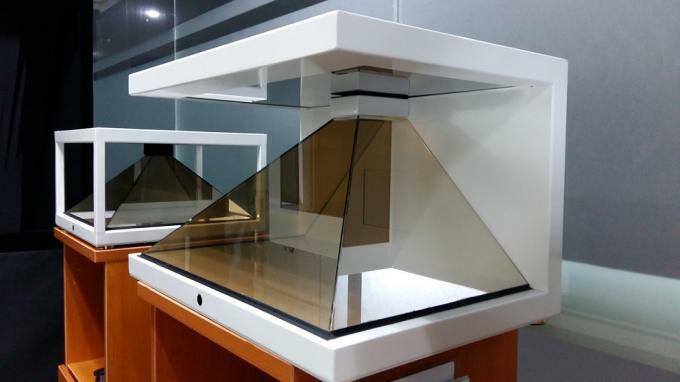 it is possible to place a physical product inside the showcase for combining it with the 3D holographic content.